Omega Force and Koei Tecmo have taken quite a franchises and have managed to successfully produce a Warriors style game that has almost always been released in the West. 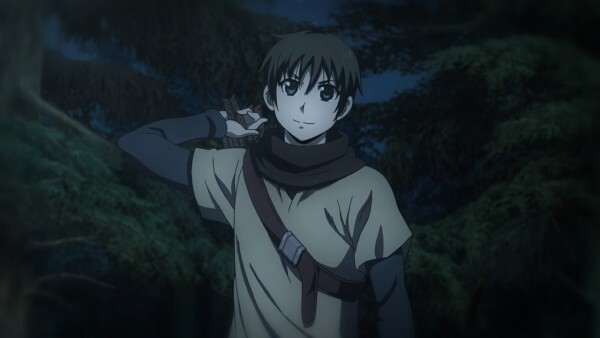 That being said, few could have guessed that their next game, based off the anime adaptation of the manga adaptation (created by the artist best known for her work on Fullmetal Alchemist) of a long running series of novels called The Heroic Legend of Arslan, would be released so quickly in the West. Yet here it is, with fans able to experience Arslan: The Warriors of Legend either for the first time or play through scenes they’ve seen in the most recent anime adaptation, how does the title stack up? For the most part the Warriors titles have always either simply been a retelling of an old story, such as Dynasty Warriors following the Romance of the Three Kingdoms, or loosely telling a story throughout a series of battles. 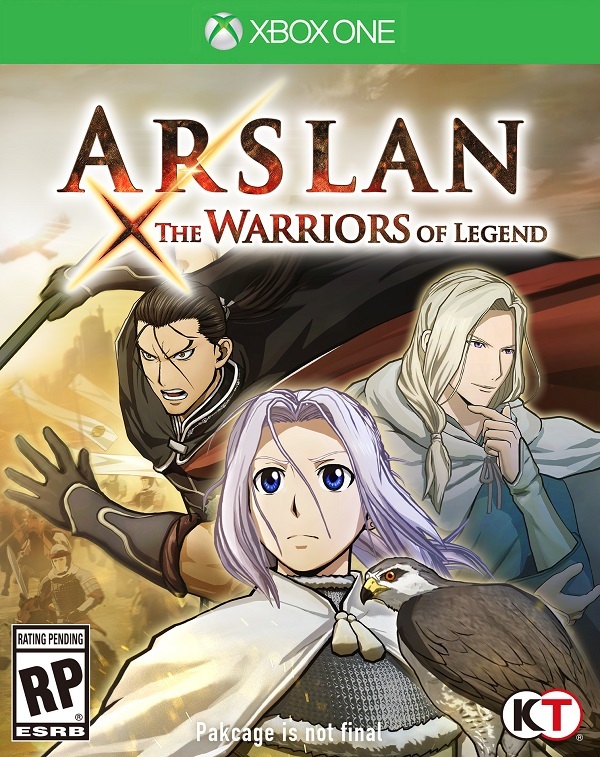 Arslan: The Warriors of Legend is something completely different from those games as this is a game where it is clear that a lot of care has been given to present a coherent retelling of the story. Thankfully this means that those who know nothing of The Heroic Legend of Arslan won’t miss a single thing as the game successfully manages to adapt the entire twenty five episode anime series and by starting from the very beginning players will quickly grasp the way the world works. After a brief glimpse at what players will be experiencing in the future, we see Arslan, the Crown Prince of the Kingdom of Pars, being taught as a child how to wield a sword and spear in combat with one of his father’s trusted men. Later that day an escaped gholam (slave) takes him hostage in an effort to escape from the capital city. Through his short time with the fugitive he learns that other nations are not the same as Pars. A few years later this becomes strikingly clear when Pars falls under attack from a rival nation that they previously thought of simply as barbarians only to fall prey to cunning tricks and dastardly betrayal that leads to a devastating loss that even the famous Pars cavalry fail to recover from. With Arslan separated from the army, his kingdom occupied by a rival force, and the fate of his parents unknown we follow the story of a young prince gathering trusted friends and allies in an effort to retake the nation and change the issues that have plagued it for far too long. This type of storytelling is fairly standard for a game such as this but it is thanks to the way that it is presented here in Arslan: The Warriors of Legend that makes it so effective. 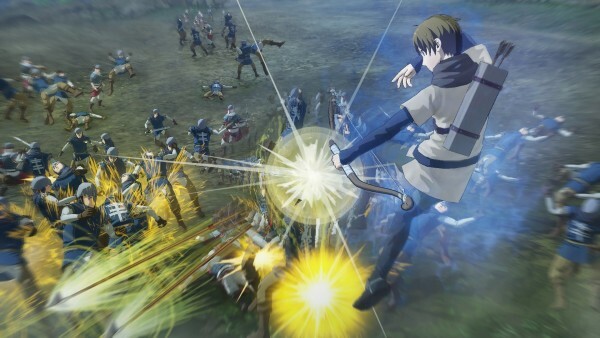 The storyline is told very well through stills taken directly from the anime that are then weaved into the combat, often featuring players swapping between fighters at certain points after completing certain objectives. 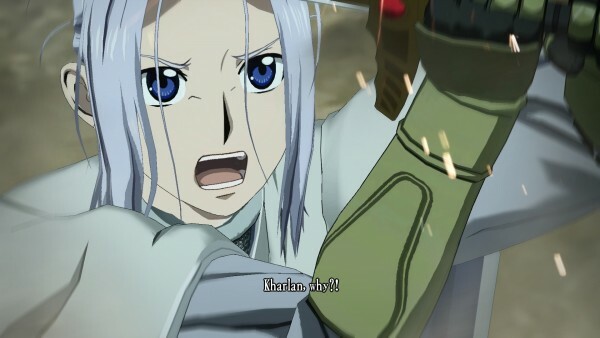 It also helps that the friends and allies that join Arslan are a charming little bunch and despite the serious nature of the plot there is quite a bit of humor mixed into the game thanks to the aforementioned anime stills providing plenty of character interaction that helps flesh out the group beyond simply being a ragtag group looking to restore a prince’s kingdom. 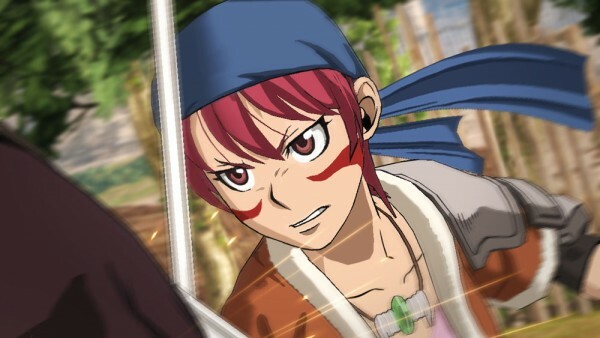 In many ways fans of the Warriors titles will be able to pick up and play Arslan: The Warriors of Legend like any other title as it offers the same style of hack and slash gameplay that fans have grown accustomed to, with every fighter having light and heavy attacks that can be mixed together, special moves, and of course powerful Musou attacks, though a number of modifications and new mechanics have been implemented to keep things from feeling repetitive too quickly. Most fighters in the title will have alternate weapons that can be used in combat and while swapping between these weapons is easy, there are also “Charge Shift” attacks that swap weapons in the middle of a combo string to unleash a powerful finisher. 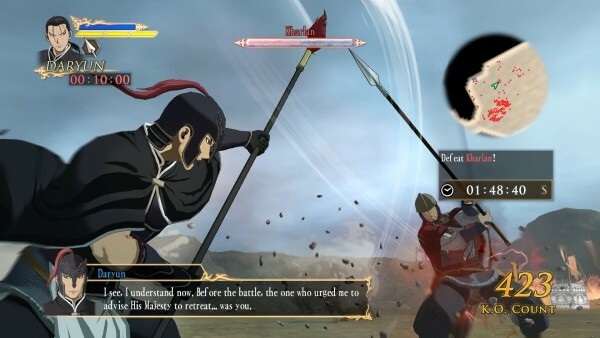 Perhaps the biggest shift in actual combat though comes with the way mounted combat works in Arslan. 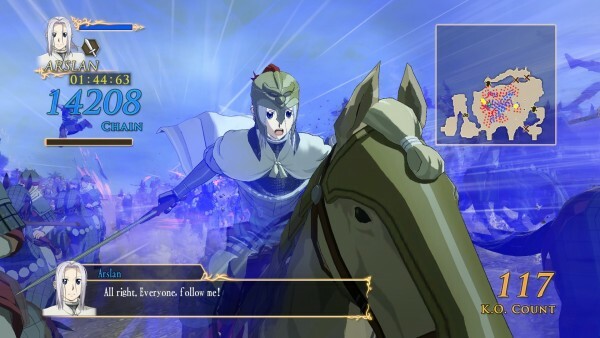 Unlike many other Warriors games where horseback riding simply serves as a way to navigate the map quickly while taking down a few foes in your path, most fighters now have specific mounted attack combinations that are incredibly powerful and capable of eliminating entire units of soldiers within one combo. Attempting to control the horse is still stiff but this is an invaluable addition that would be great to see worked into other Warriors games. Another new key element in Arslan: The Warriors of Legend is the “Mardān Rush” which is a limited time special attack that are often used to smash through gated areas, light something on fire, or simply appear as a bonus to allow players to devastate your foes. You see, Mardān Rushs gather a large number of allied soldiers by the player’s side and while the effect varies if your unit is on horseback, an infantry unit, or an archer, allows for massive amounts of damage to be dealt out to the opposing side, often raising chain attacks up in the thousands and killing hundreds of soldiers like they were nothing. In battle players will generally be assigned certain tasks that are graded from S to D ranks and this usually means something like eliminating a certain number of foes while also reaching your destination within the time limit. Performing better here allows players to earn a better grade and obtain Skill Cards, which are also dropped from enemies and can be synthesized by combining various duplicates in the hope of obtaining a new one. Each character can equip up to three Skill Cards and these cards all offer special bonuses in the form of stat boosts or increased effectiveness. While using a certain type of weapon for a while, a character will learn various special abilities that allow them to imbue the weapon with special attacks that unleash either fire, water, miasma, or wind elements, all of which have special effects. This is highly effective when you consider the way that boss battles have been worked into the title. In Arslan: The Warriors of Legend it is still entirely possible to regularly rack up over two thousand kills against the rank and file soldiers and even basic generals won’t stand much of a chance against your characters but now battles against named opponents are treated as something special. These foes have shields that need to be beaten down before they can actually be damaged and this leads to fights that actually require some skill and proper dodging to avoid being killed and losing a lot of progress. Unfortunately with the lack of a lock-on feature this does mean that you’ll occasionally be flailing wildly with a Musou attack only to be hit from behind while trying to adjust the camera properly. Of course if you choose to play the campaign or the Free Mode in co-op, this isn’t much of an issue since your friend can be there to back you up. Omega Force has done an excellent job here managing to create a video game that looks incredibly close to its anime counterpart. Taking the designs used in the anime, which may appear familiar to fans of Fullmetal Alchemist for the aforementioned reason, these characters have been replicated with great care to produce impressive 3D anime models that flow throughout the battlefield and take down the foes in their path with flashy moves, though the battlefields themselves remain rather bland looking. The actual cut-scenes where the story is told is handled by taking still scenes from the anime and simply syncing up the mouth flaps with the dialogue while actually providing very little in the way of animation. This does serve as a nice touch for fans but a bit of extra animation would have paid off well in certain scenes that require actual movement rather than these simple stills. The voice work in the game is presented in Japanese only and thankfully the team has managed to acquire all of the original voice actors to retain their roles in the game, meaning fans and newcomers will find that the voice work fits these characters perfectly. Unfortunately there is an issue with the game’s subtitle system. In combat the dialogue boxes that appear fairly often to give context for the battle and also provide instructions vanish without a trace when a special move is used, meaning that there are certain moments that can get lost in translation. As for the soundtrack, we have a number of great themes ranging from high energy rock to delicate sounding tunes that often are used perfectly. 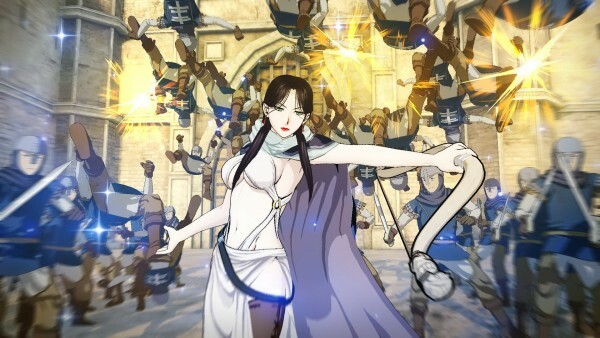 Arslan: The Warriors of Legend continues to show that Omega Force and Koei Tecmo can successfully transfer new franchises into their formula and even tell a highly enjoyable storyline at the same time. The core gameplay elements remain familiar with a number of new additions such as boss battles and Mardān Rushs serving as ways to spice things up. The limited nature of the anime stills and some nagging combat issues do limit this title a bit but those looking for a fun Warriors game that isn’t afraid to experiment a little will find Arslan: The Warriors of Legend a worthy experience.